Clip from "All Hail the King"
The All Hail the King Short takes place in Seagate Prison which also happens to be the place where Luke Cage is imprisoned and experimented on. 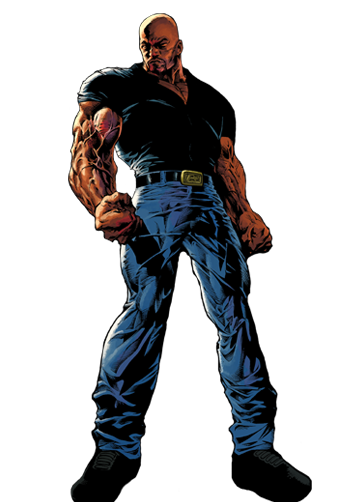 With a Luke Cage Netflicks TV Show coming out now official it would be reasonable to assume that the short could give us our first glimpse of Luke Cage. One actor who already jumps out can be seen in the above clip. Over Ben Kingsley's left shoulder is the actor Tyson Beckford. He is a fashion model / actor who certainly looks the part. I will say that I would think they would add an actor who had more experience to play such an important character. Tyson has much more of a modeling career than acting. This part would certainly be a big leap for him. Soon we will be able to see this on TV. Crazy times folks, crazy times indeed.